Apple's iOS 11 update could deliver FLAC and hi-res audio support | What Hi-Fi? Launched as part of the iOS 11 beta, it appears as though Apple's new Files app will allow playback of FLAC files on an iPhone - which could ultimately point to support for higher-quality audio on Apple devices. 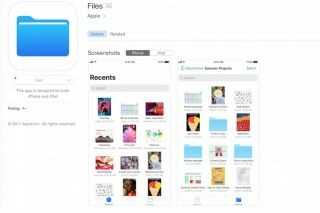 It seems that Apple's latest operating system iOS 11 may be able to play high-resolution FLAC audio files through the recently announced Files application. According to user 'atm153' on Reddit , "throw some FLACs in iCloud Drive... and you can play them back directly on the device in Files. Tested on my 6S Plus on iOS 11 Beta 1". FLAC is the go-to format for lossless audio but you currently have to use a workaround to get FLAC files on to Apple devices. Apple has its own lossless file format, Apple Lossless (ALAC), but wider support for ALAC is limited. One thing the Reddit post doesn't confirm is the original sample rate of the files or the sample rate being played back by the iPhone, nor the process the user went through to get the file playing. It's possible the iPhone's DAC downsamples the file before playback. That said, if it does point to FLAC support on iPhones, could it also mean Apple is contemplating lossless audio elsewhere? Apple Music currently lags behind Deezer, Tidal and Qobuz by not offering a lossless, CD-quality streaming tier - might this be rectified around the launch of the next iPhone? Certainly, rumours last year suggested Spotify was considering adding a lossless audio tier. We'll almost certainly have to wait until the new iPhone launch, which normally takes place in September, for any official news. The iOS 11 update was revealed at Apple's WWDC event, where the company launched multi-room support via AirPlay 2, and its Siri-controlled speaker, the HomePod.